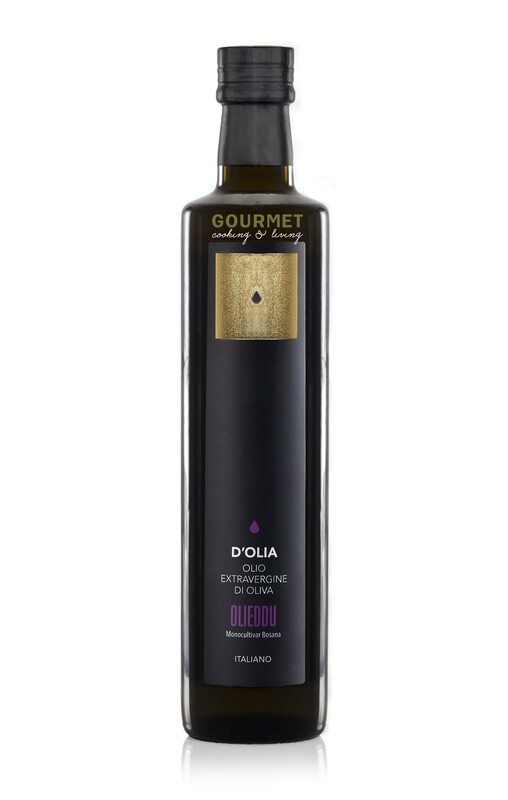 Olieddu stands on its own with intense fruitness, notes of green olives, artichoke and wild thistle. Good intensity of bitterness and spiciness. Delicious drizzled over meat stews and vegetable soups, as well as over grilled meats, strong cheeses and used in marinades. The Loddo family started cultivating the olive groves half a century ago on their property situated in the area of Parteolla, 250 meters above sea level, 10 km (approx. 6 miles) from Cagliari, in Sardinia. In 1986, Enrico Loddo, father of Manuela, became the young owner of the Loddo Farm, as he inherited 2 hectares of olive groves from his father. Over time it expanded with new purchases of land and eventually he had 10 hectares of irrigated working olive groves. Slowly the backyard was transformed into a laboratory with equipment to enable them to be on the forefront of the industry. They began producing about 500 bottles of Extra Virgin Olive Oil that was initially given away to friends and acquaintances, and eventually they began distribution in local stores. Over time, the company expanded to meet the market demands, and today the Loddo family has 20 hectares of land with olive trees. The harvest begins in the middle of October and is strictly by hand picking; the olives are stored in plastic crates with ventilation, and then milled the same day, which guarantees the high standards they believe in. At the mill, the oil is stored in stainless steel silos under controlled temperatures which enable the settling process to occur naturally, without filtration. In 1999 after graduating, Manuela, flanked by her husband Nicola, took over the company and began to tour Europe to raise awareness of the family’s brand, D'OLIA, synonymous of high quality extra virgin olive oil. The quality of the D'OLIA oil is also supported by various international awards and honors that the product has received over the years. Today 75% of the production is exported to countries like Germany, France, England, Switzerland, the Netherlands, Austria, USA, Japan and Hong Kong. The remaining 25% is distributed in the regional and national market.